Mazdaspeed 6 owners have been asking and CorkSport is delivering. 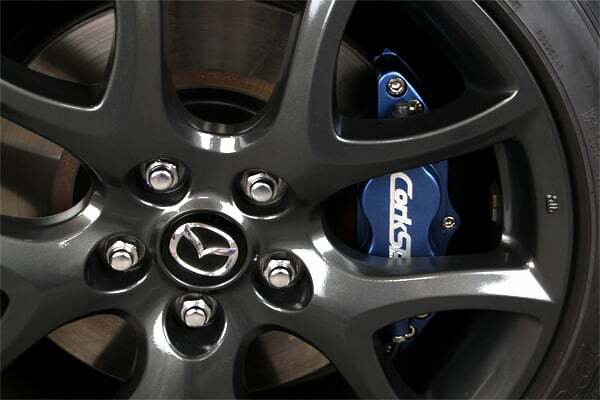 CorkSport is proud to announce the Big Brake Caliper Kit for the Mazdaspeed 6. We have been able to shave off almost 8 lbs from the OEM braking system. At just over 7 lbs these calipers are crafted from extremely lightweight billet aluminum using an opposed piston design that is fixed to provide greatly improved pad wear, and caliper rigidity over the factory system. They are available in 3 anodized colors, this brake system includes everything you need to easily upgrade your stock braking system and includes: High strength steel brackets, calipers, stainless steel braided front brake lines, brake pads and all necessary hardware. Just install and go, no searching for extra parts or ordering additional items. Lightweight: At just over 7lbs a side, this kit saves almost 8lbs of unsprung weight per corner! Ease of Use: With simple hand tools you can change brake pads in minutes and with full rebuild-ability you can be back to factory fresh brakes in no time. 1. Do they come with rotors? 2. Will these fit on the Gen1 & 2 MZ6? 03-13. 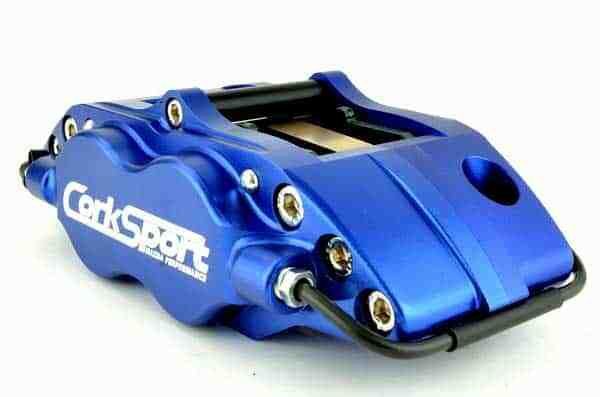 Wow…thanks to announce Big Brake Caliper Kit. i need such type of kit to maintain my Mazdaspeed 6. Can this still be purchased? I’m picking up a low mileage speed6 in 2 weeks and would really enjoy the upgraded braking. Plus it would allow me to relocate the factory speed6 to the 03 6s that my wife will be driving. We will have the kit available again in ~3-4 months. Any plans for a rear brake kit with multipiston caliper? We do not have plans to offer that. Hi are those calipers available? Next PostNext Do you Snapchat?